The Black Welsh Mountain belongs to the Welsh Hill and Mountain family of sheep, a group mostly made up of small, hardy landrace breeds that have largely remained unchanged for centuries. The Black Welsh Mountain is the only true black British sheep and was developed a hundred or so years ago; shepherds in the Welsh mountains bred together the black sheep that occasionally appeared in the white Welsh Mountain breed (whose black fleeces had been highly prized for their colour since medieval times), leading to a new breed with a softer, more kemp-free fleece. The Black Welsh Mountain is a small, hardy breed that developed on rough, mountainous terrain but adapts well to more fertile, lowland conditions, often producing heavier fleeces in response. It is currently listed as a”minority” breed by the UK Rare Breeds Survival Trust and is the only member of the Welsh Hill and Mountain family found in North America. Ewes usually lamb easily and make excellent mothers, having very few lambing problems and plenty of milk to feed the lambs, which are fast-growing. Males have horns, while females are naturally polled. Unlike most other breeds that are actually very deep brown, the fleece of the Black Welsh Mountain is truly black (entire body), and does not grey with age, though fibre tips are often sun-bleached. Fleece is short-medium (5-10cm) and dense. Fibres range from soft-to-medium (28-36 microns) and is largely kemp-and-hair-free. 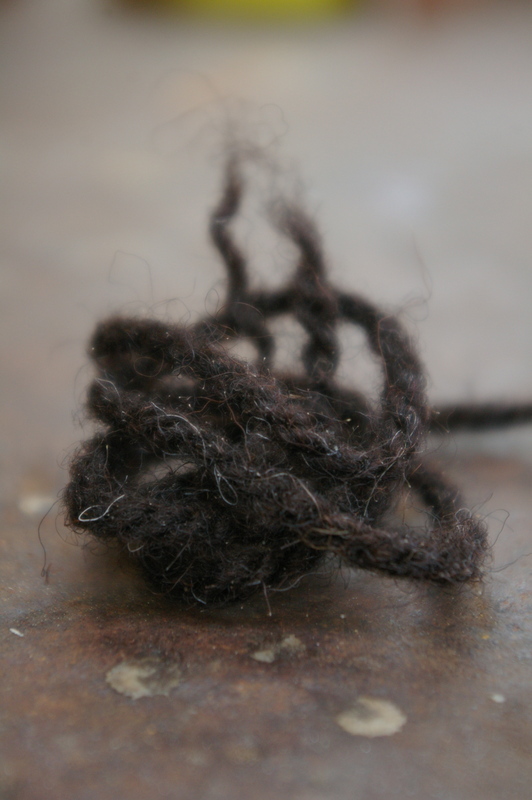 When the dense staples are opened out and spun, it forms a light, lofty yarn. 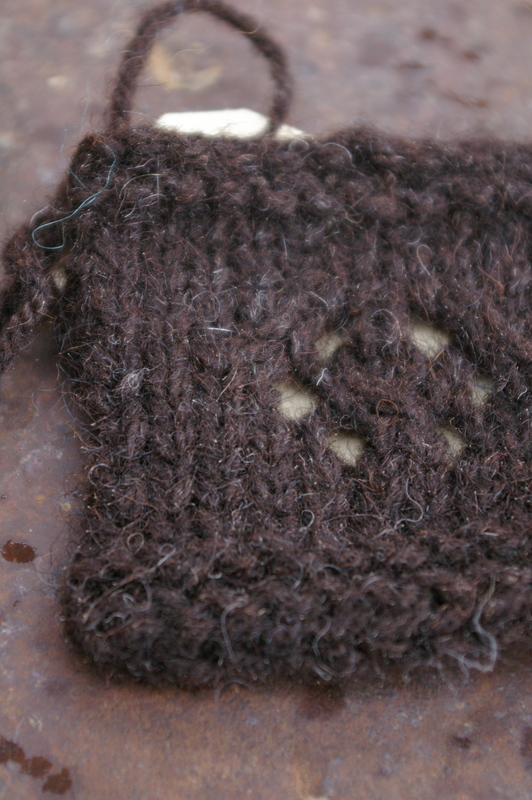 This sample is Blacker Yarns Black Welsh Mountain, a 3-ply, woollen-spun, aran-weight yarn. It was knitted on 4.5mm needles. This yarn feels relatively springy and hairier and scratchier than Deb’s description would suggest! However, it feels like it would open out and soften with wearing and washing. It looks rich in colour with lots of dark hairs and the odd white kemp fibre. It seems well-suited to hard-wearing outerwear, such as jumpers and jackets, and woven tweeds, where the colour would combine well with other naturally coloured wools. This entry was posted in creatures, knitting and yarn on August 13, 2012 by admin. Oh I am looking forward to more of your sheep breed wool posts! I bought a skein of Rowan British sheep breeds “Dark Grey Welsh” a while back which I loved. A bit rough but very sproingy and lovely to knit with. I made a simple hat, perfect for very cold mornings.